What? More drill holes? Sabotage from the ground or one of the astronauts has cabin fever? Maybe a mistake on the ground and covered up , but in two spots? 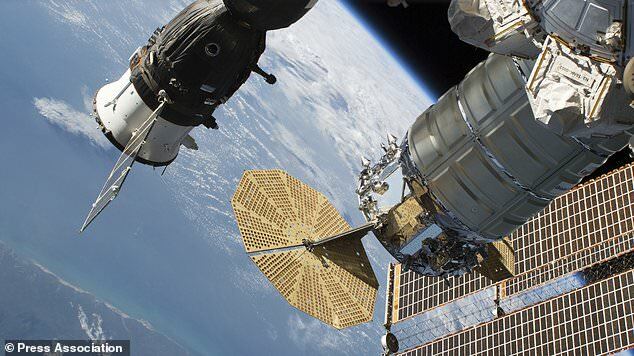 Alarming new traces of 'drilling' have been found on a Soyuz spacecraft docked with the International Space Station, Russian sources revealed today. Officials have claimed the damage to the spacecraft appears to have been caused by a drill, and could have occurred on the ground pre-launch - or while in orbit. 'Traces of drilling have been found not only inside the spacecraft's living compartment,' said the source. The damage was also 'on the screen of the anti-meteorite shield that covers the spacecraft from the outside and is installed 15 millimetres from the pressurised hull'. A drop in pressure due to an air leak was first detected on the $150 billion (£115 billion) orbital station overnight on August 30. 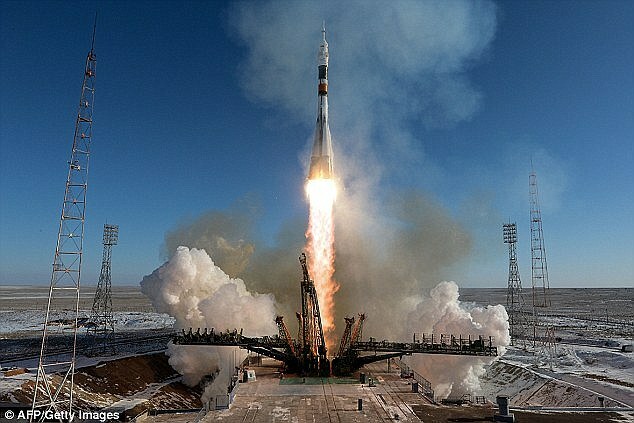 The cause was later discovered to be a two-millimetre h*** in the orbital compartment of the manned Soyuz MS-09 space vehicle, which has been docked to the space station for two months. Russian cosmonauts quickly plugged the h*** and restored pressure, patching it up with several layers of epoxy resin - a glue-like substance. 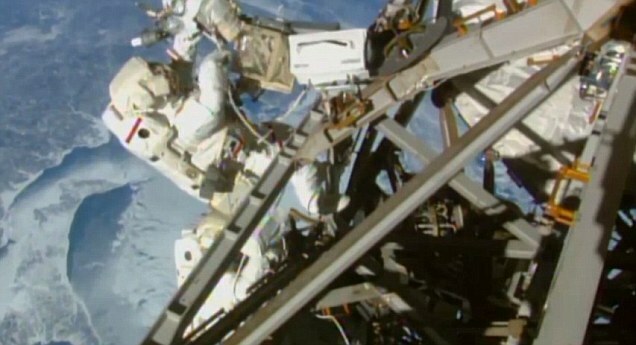 After the h*** was sealed cosmonauts carried out photo- and video surveillance of the h*** using an endoscope. A Russian official said last week that the h*** appeared to have been punctured using a drill, and could have been caused deliberately by someone on the ground. Now a source says the extent of the damage was greater than experts first feared. 'During the analysis of those images, traces of drilling were found on the anti-meteorite shield,' said the source, as cited by Russian TASS news agency. The latest disclosure comes as Russia was seeking to to calm speculation over the spacecraft damage. Both side agreed to 'refrain from any premature conclusions and from presenting any explanations before the investigation is fully completed'. He asked: 'What was it: a defect or some intentional acts? Where were these acts carried out? On the Earth or already in orbit? WHAT COULD HAVE CAUSED A H*** IN THE ISS? A tiny h*** appeared in a Russian space capsule locked to the ISS on 29 August. 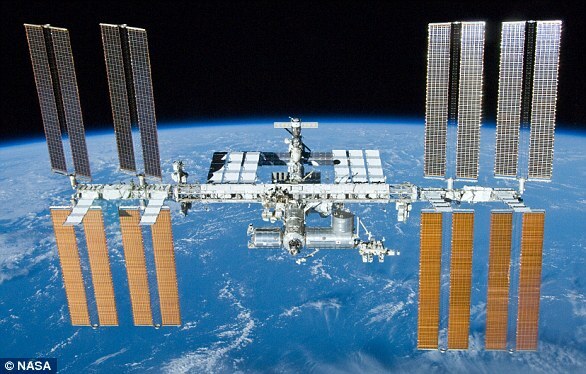 The 'micro fracture' believed to be around 2mm wide in the $150 billion (£115 billion) space station was discovered after astronauts noticed a drop in pressure. 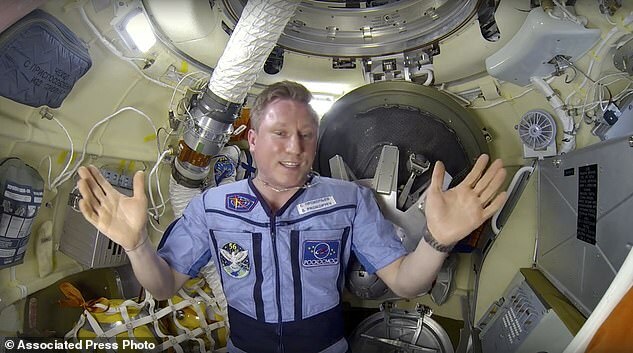 European Space Agency astronaut Alexander Gerst reportedly put his finger over the h*** before crew patched it with tape. The h*** was confirmed repaired by Friday (31 August) after cabin pressure returned to normal. 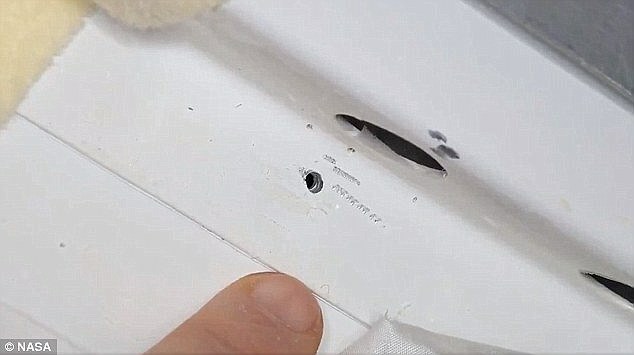 It was initially believed to have been caused by a small meteorite and astronauts used tape to seal the leak after it caused a minor loss of pressure. However, as the investigation went on it began to look like the h*** was made from someone inside as opposed to outside, either back on Earth or in space, the Russian space agency claimed. A leading theory from an unnamed source at Energia has said that the h*** was made on the ground – potentially caused by 'deliberate interference' – with suggestions the person responsible may have already been identified. Space agency chief Dmitry Rogozin said on September 4 the h*** was caused by a drill and could have been made with a 'wavering hand'. Another anonymous source said the whole was drilled by a worker who hid their mistake with a seal instead of reporting it. Previously Rogozin had said the h*** in the side of the Soyuz ship used to ferry astronauts was most likely caused from outside by a tiny meteorite. However, he says that theory has already been ruled out. Nasa is yet to make a comment on whether it could have been caused from within. Rogozin said it was 'a matter of honour...to find whoever was guilty' of causing the spacecraft damage - and 'whether it was deliberate'. An industry source denied damage was possible before this - and it is thought unlikely to have been tampered with at Baikonur. 'When Soyuz MS-09 just arrived to the final assembly workshop, it was photographed in detail,' said the source.